NEW YORK, Dec. 17, 2017 (GLOBE NEWSWIRE) — Hudson Global, Inc. (HSON) (“Hudson”), a leading global talent solutions company, today announced it has entered into definitive purchase agreements to sell its recruitment and talent management operations in Europe and Asia Pacific to strategic buyers in three transactions. Hudson intends to focus on its growing, global recruitment process outsourcing (“RPO”) business going forward. Under the terms of the agreements, Hudson will receive estimated proceeds of $41.2 million in cash, subject to adjustment. Sale of Hudson`s recruitment and talent management operations in Benelux to Value Plus NV, in a management buyout led by Ivan De Witte, chief executive officer, Hudson Benelux, for $24.7 million in estimated net proceeds, subject to customary transaction adjustments. Sale of Hudson`s recruitment and talent management operations in the rest of Europe to Morgan Philips Group SA (“Morgan Philips”), for $10.5 million in estimated net proceeds, subject to customary working capital and transaction adjustments. Sale of Hudson`s recruitment and talent management operations in Asia Pacific to Apache Group Holdings Pty Limited (“Apache Group”), in a management buyout led by Mark Steyn, chief executive officer, Hudson Asia Pacific, for $6.0 million in estimated net proceeds, subject to customary transaction adjustments. The buyer will assume the company`s short-term debt in Asia Pacific, which was $6.3 million as of September 30, 2017. The transactions are expected to close in the first half of 2018, subject to the approval of the majority of the outstanding shares of Hudson and satisfaction of customary closing conditions. Hudson plans to file a proxy statement with the Securities and Exchange Commission seeking shareholder approval for the sale of substantially all of its assets as a result of the proposed sales. The Board of Directors of Hudson has unanimously approved the definitive agreements for the proposed sales and will recommend the approval of sales of substantially all of Hudson`s assets to Hudson`s shareholders. None of these transactions are contingent on any other transaction in order to close. Until the close of the sale, all of Hudson`s operations, including RPO, recruitment and talent management, will continue to operate as they do today. Once the sale process is completed, a transitional services agreement will allow each division to work together to continue delivering services to clients throughout 2018, to avoid any service disruptions. Hudson had net NOLs for U.S. Federal tax purposes of approximately $326.3 million as of December 31, 2016. 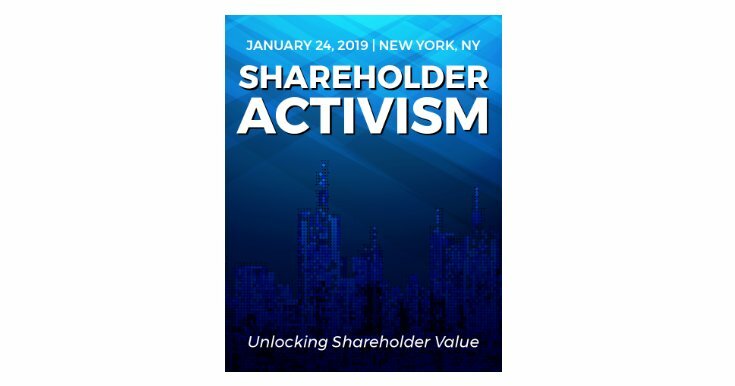 In order to protect the value of the NOLs, the company has a rights agreement in place that limits beneficial ownership of Hudson common stock to 4.99%. In addition, stockholders who already own more than 4.99% of Hudson common stock may not acquire additional shares without board approval. Foley & Lardner LLP is serving as legal counsel to Hudson. Hudson is a global talent solutions company with expertise in leadership and specialized recruitment, recruitment process outsourcing, talent management and contracting solutions. We help our clients and candidates succeed by leveraging our expertise, deep industry and market knowledge, and proprietary assessment tools and techniques. Operating around the globe through relationships with millions of specialized professionals, we bring an unparalleled ability to match talent with opportunities by assessing, recruiting, developing and engaging the best and brightest people for our clients. We combine broad geographic presence, world-class talent solutions and a tailored, consultative approach to help businesses and professionals achieve higher performance and outstanding results. Value Plus NV is a newly formed company led by current Hudson Belgium CEO Ivan De Witte and an MBO team from the Hudson Belgium management group. The business is a market leader in Belgium, providing innovative talent solutions to clients. The business is led by an experienced team of tenured industry professionals and was founded by expert entrepreneur and pioneer in talent management Ivan De Witte in 1982. Hudson Belgium has a team of 250 people, including consultants, researchers, R&D and support staff.